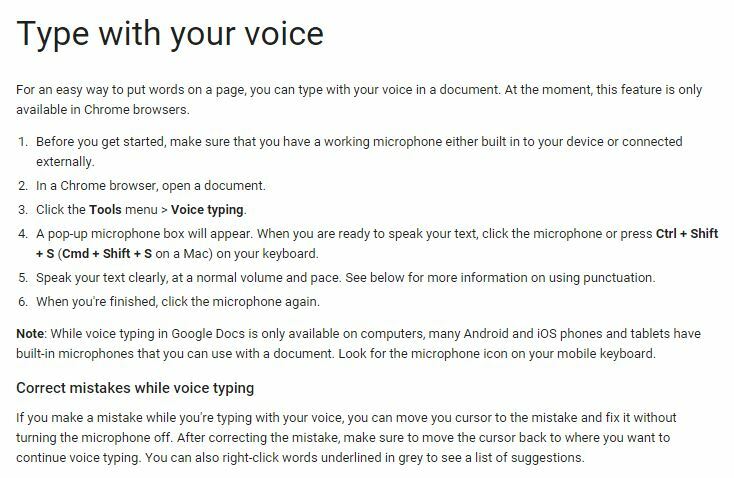 I love the new voice typing from Google Docs, It works extremely well much better than I thought it would. I was lying on a deckchair in my garden this afternoon and opened up a google doc and dictated a whole page of notes in 5 minutes and the end result just had a couple of typos and that was it. The other issue I had was remembering that period was full stop but apart from that, it was easy. If only I could cut the lawn now through voice command! I wonder how many students will start to use this feature? What do you think?